Utilization It is proper for containing general products and it is considerable strong. Usage Computer box,garment box or electrical appliances containers. Utilization It is proper for containing general products and it is very strong that would prevent loss of goods contained inside. Feature The container is two separable one side opening boxes, one opened on top and the another one opened at buttom that can be put together perfectly.It consists of two pieces, namely the coverable lid and the main top-opened box, each piece perforated in “ Slotted Style”. Utilization It is proper for containing products that want to show the goods contained inside obviously while it is in close status. Usage Fruit box, costumes container. Usage Boxes for containg apples,orangers or other kinds of fruits. 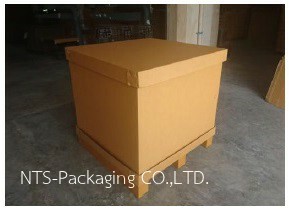 Feature The container is rectangular box that all sides are completely sealed except the upper one that can be opened so it is very strong and paper material is saved. It consists of two pieces, namely the coverable lid and the main top-opened box, each piece perforated in “ Slotted Style”.The cover can cover the main box completely. Usage Use show clearly Easy to load, such as a box of sweets. Utilization It depends upon the customer’s requirement and the goods characteristics, it is strong, beautiful and can be formed according to the goods shape. Usage It is suitable for fruit containing , toys or computer parts. - Consist of 2 pieces, namely, cover-lid and the main box. - Box body is the slotted box with one opening side only. - The sides without lid to cover are reinforced with another supporting box. - The lid has the same feature as the Design Style or it may be Half-Slotted Style. 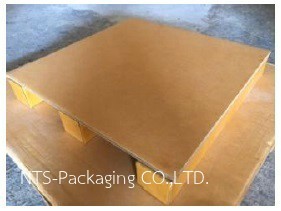 NTS-Packaging CO.,LTD. 8 Soi Onnut 65 Yak 15 Prawet Bangkok 10250 Thailand.